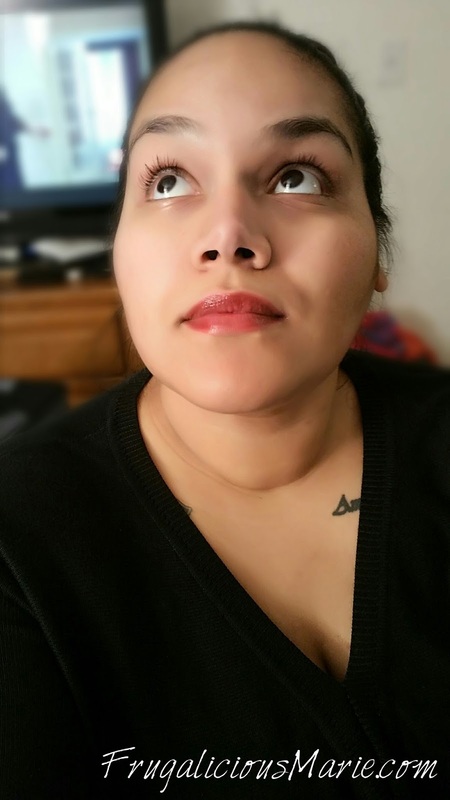 My Influenster Covergirl VoxBox Review! Disclosure: I received these products complimentary to test and/or review. All opinions are 100% my own. A few weeks ago I was told I was getting a Covergirl Influenster Voxbox. I was so excited! It's been a while since I've gotten a voxbox and that's probably my own fault because I have not been very active on Influenster. I absolutely loved the items I received! 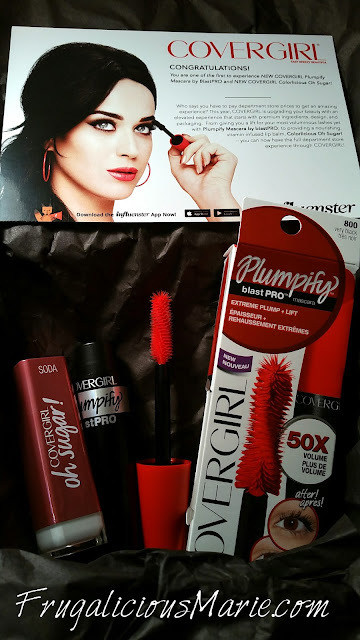 I got the Covergirl Plumpify Mascara by blastPRO - and ladies, it was love at first wand! The brush is a double spiral wand which gives 5x the volume. I usually use the Covergirl lash blast volume mascara but this has now become my favorite. The next product was the Covergirl Oh sugar! lipstick. I loved this! I thoguht I had lip balm on. 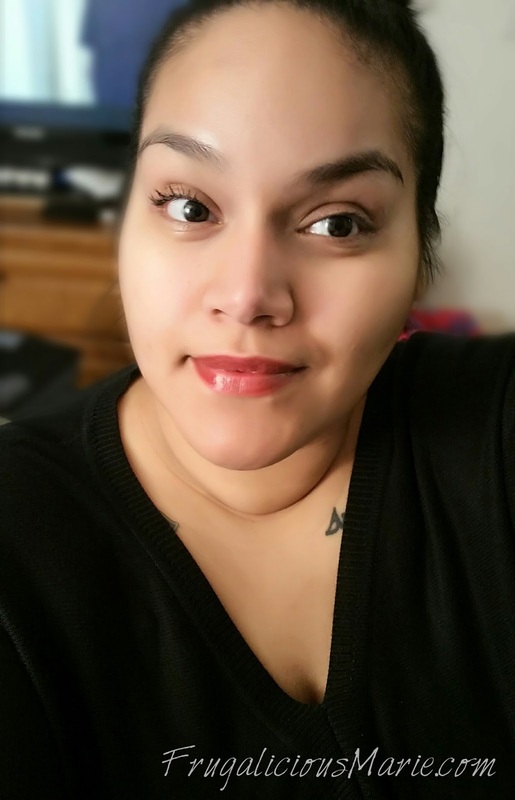 It was nice and smooth and not heavy like a regular lipstick is. I loved the glossy/shiny look it had. It wasn't too much and was nice and subtle. It reminded me of the lip smacker lip balms that had a tint to them back in the 90's. In the picture below you'll see that I have the Covergirl Plumpify Mascara by blastPRO on my right eye. my left eye doesn't have anything. You can see the volume and length. You can also check out my lip color. The Covergirl Colorlicious Oh Sugar! shade is in SODA. It has just about the right tint to it just in case you don't want to add the full face makeup. I could do just a simply eye liner, mascara, and this and walk out the door. I recommend these products to all of you. I will definitely be checking out more shades of the Covergirl Colorlicious Oh Sugar! Want to see my Youtube unboxing? Check it out below!